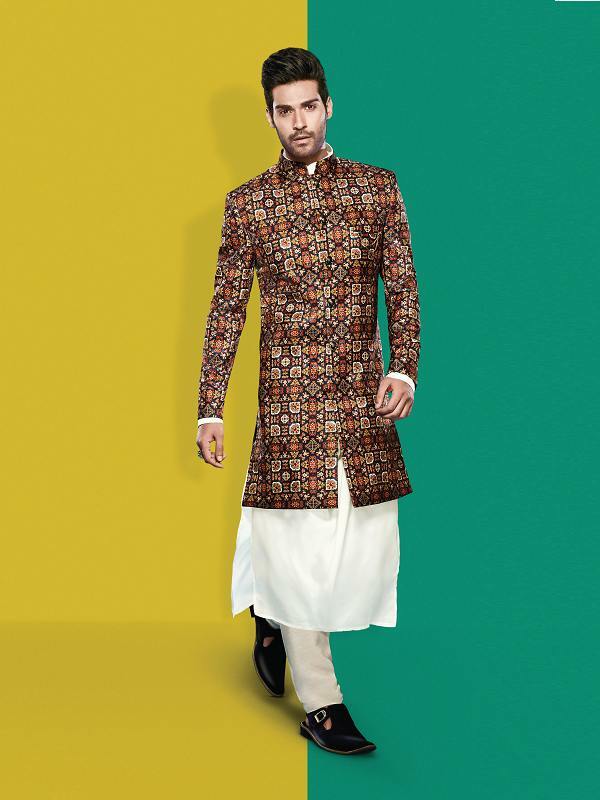 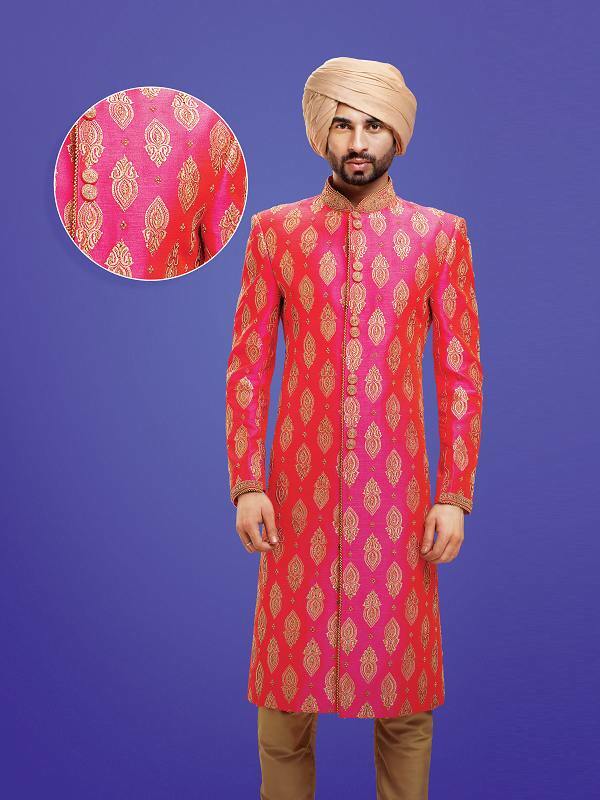 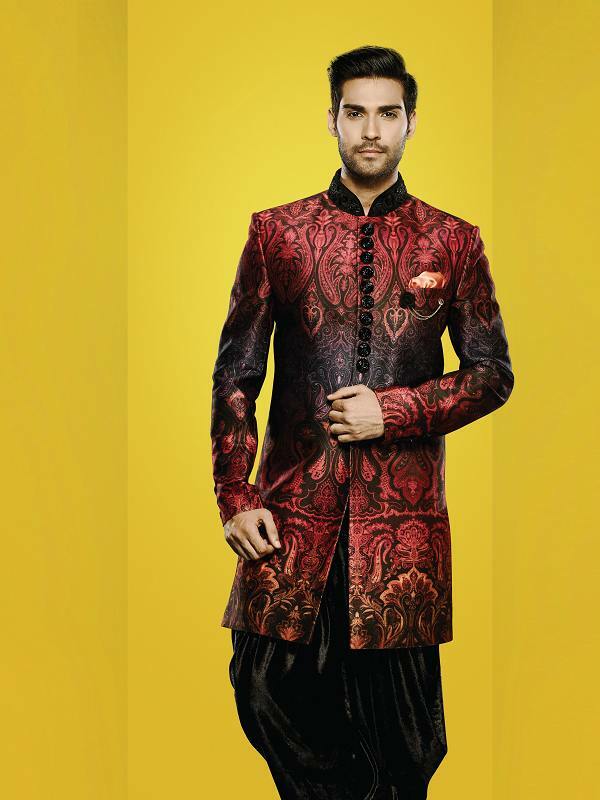 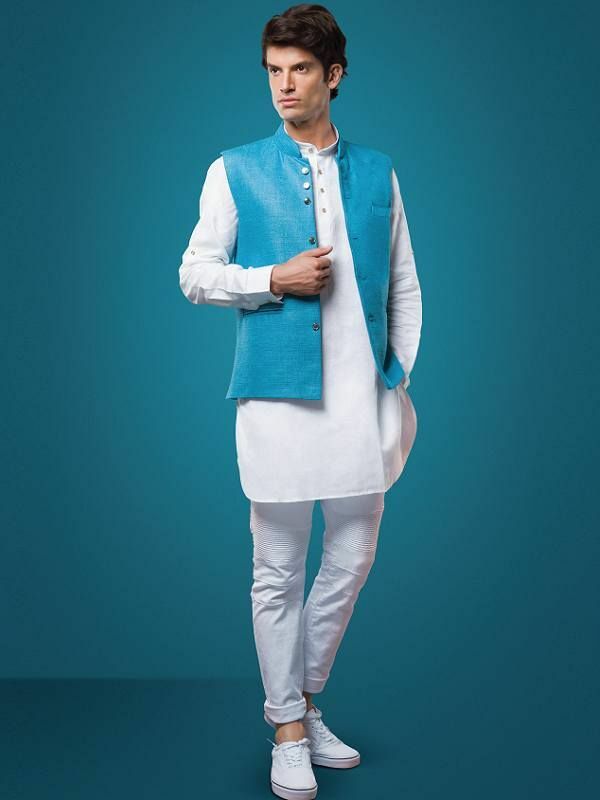 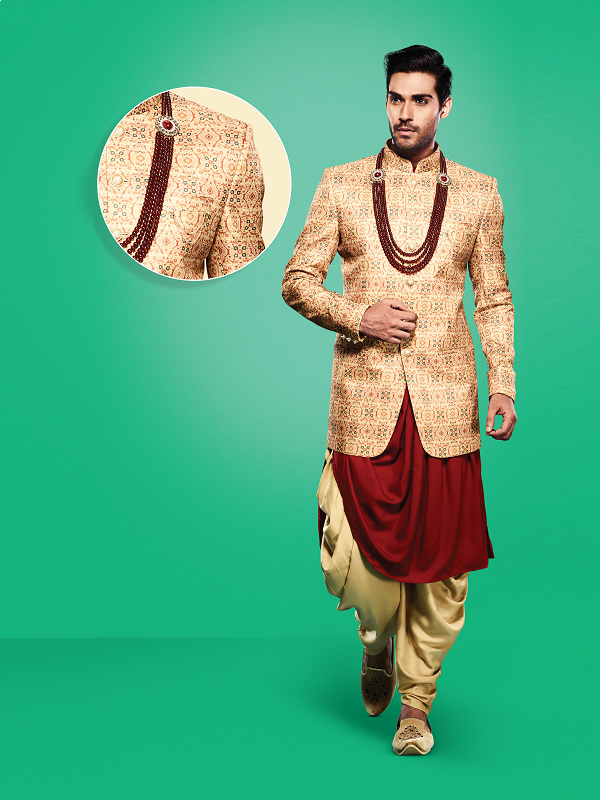 Ethnic Elegance and Exquisite Appeal For Every Occasion. 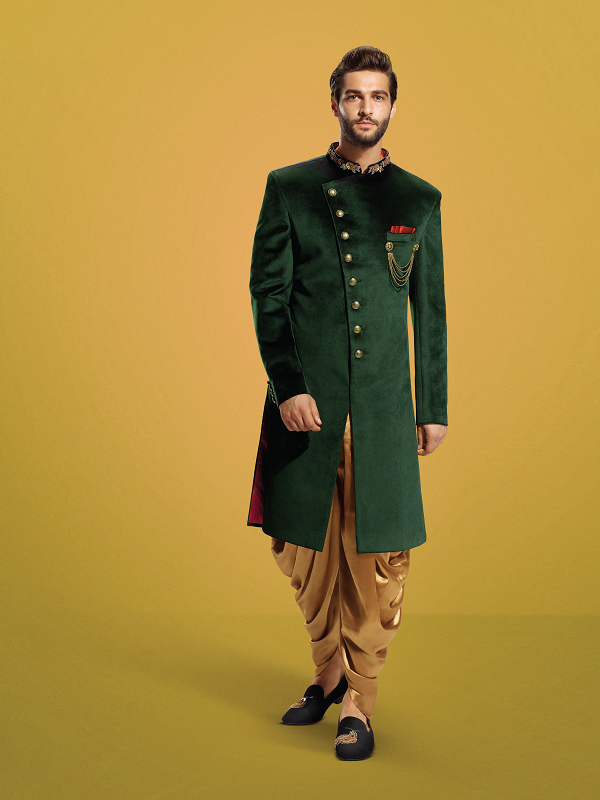 Whether It’s The ’Haldi’ or a Sensational ’Sangeet’. 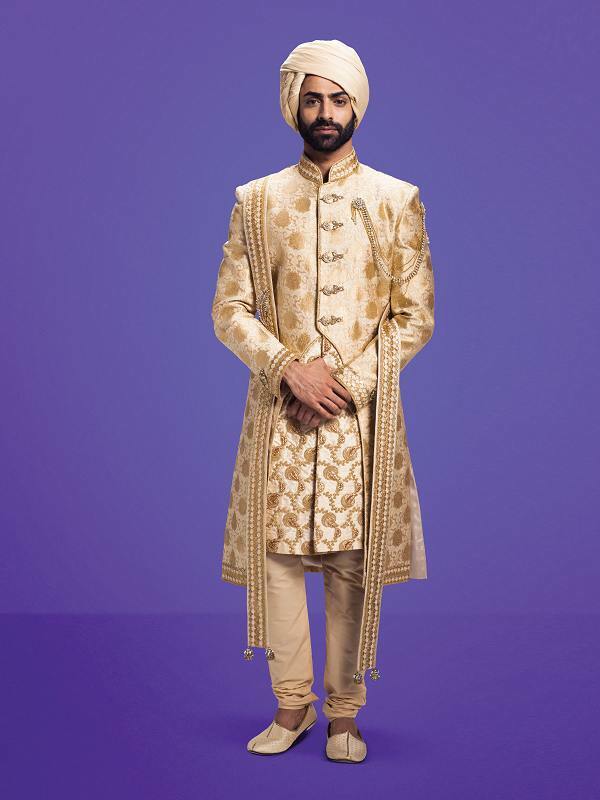 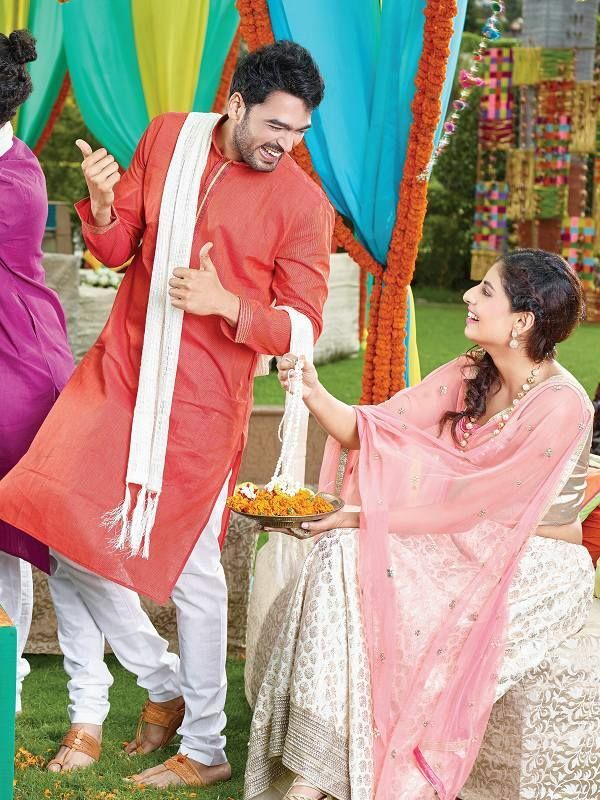 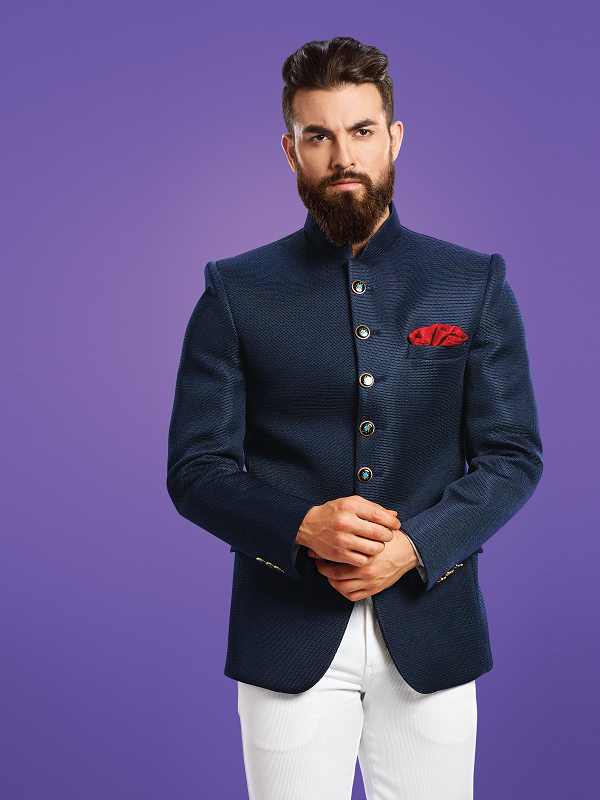 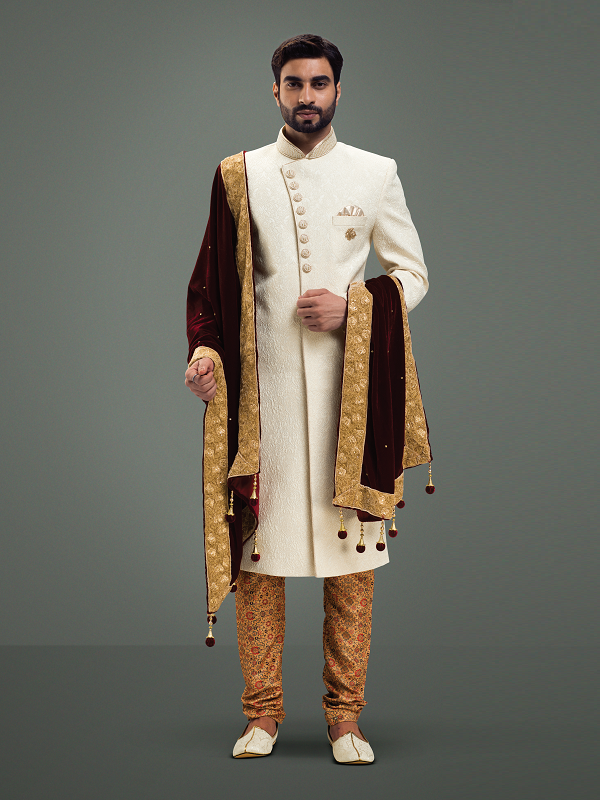 Imperially Indian And Exuding Contemporary Charm, The Bandhgala Collection Is Designed To Add Splendour To Your Cocktail Parties And Stellar Receptions With A Range Of Exotic Fabrics, Unique Cuts And Timeless Styles. 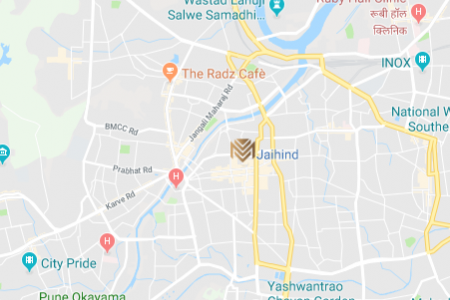 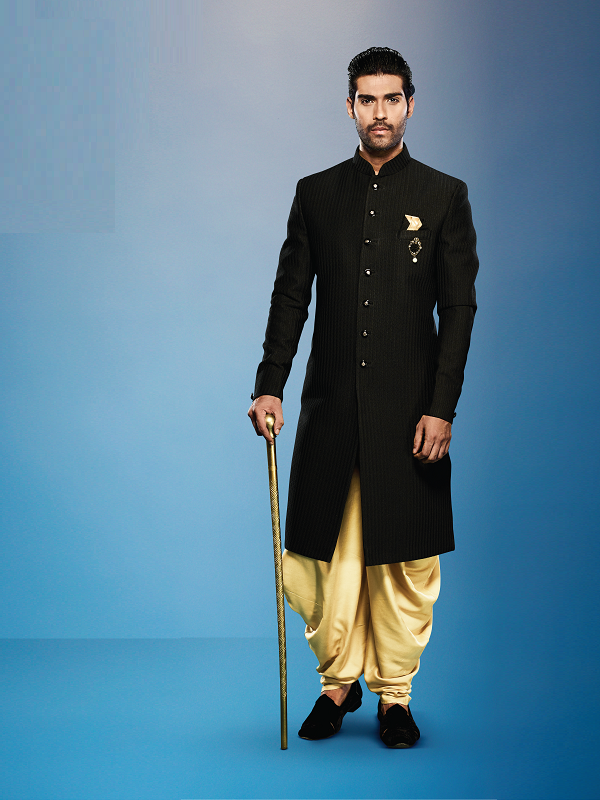 Resplendent With An Old World Charm That Never Fails To Impress. 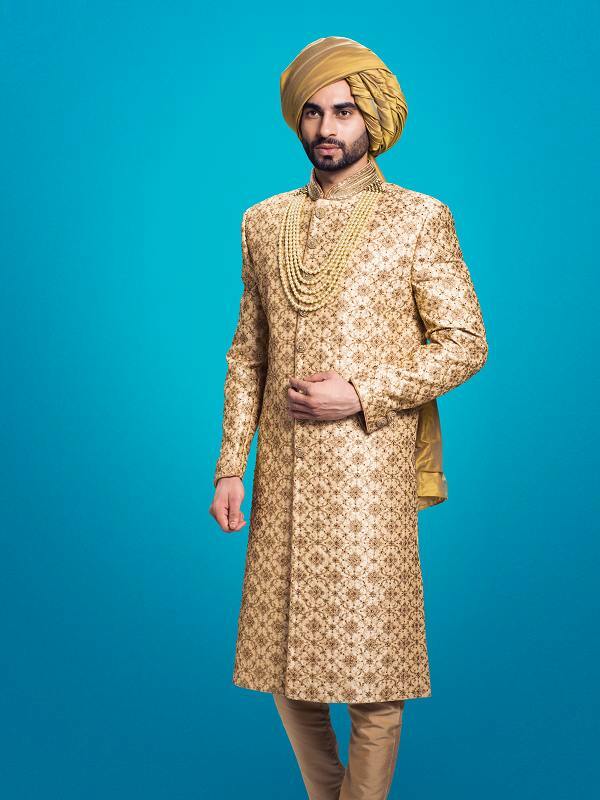 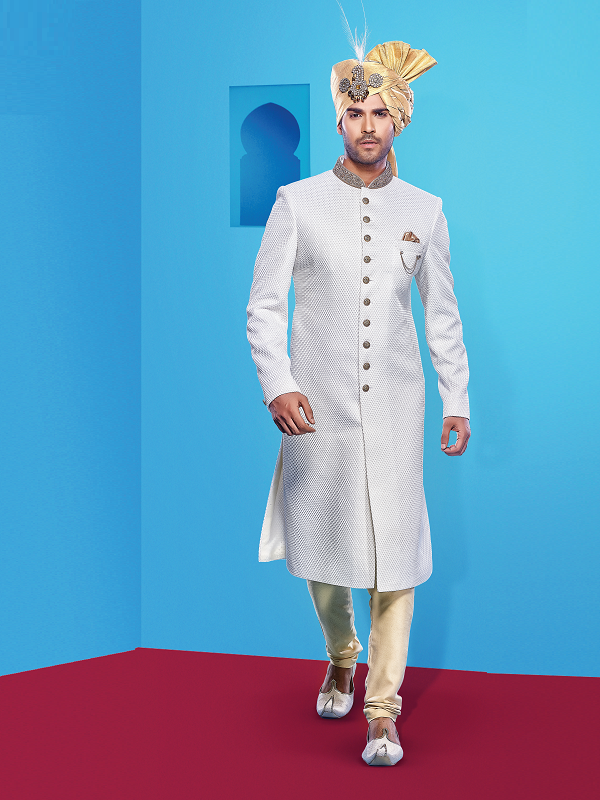 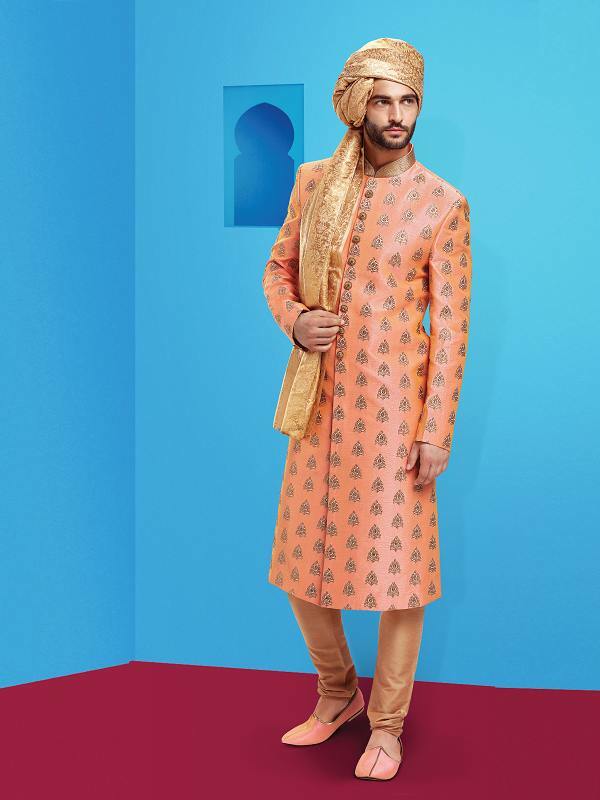 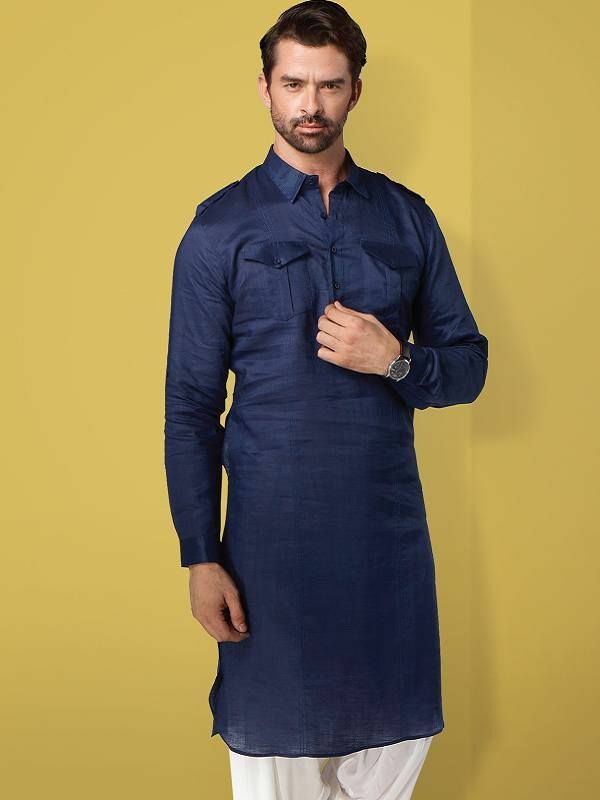 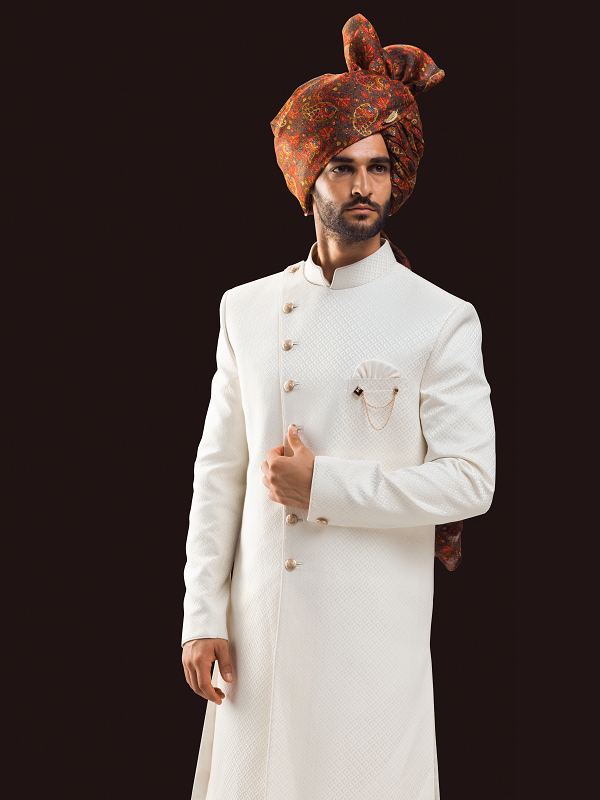 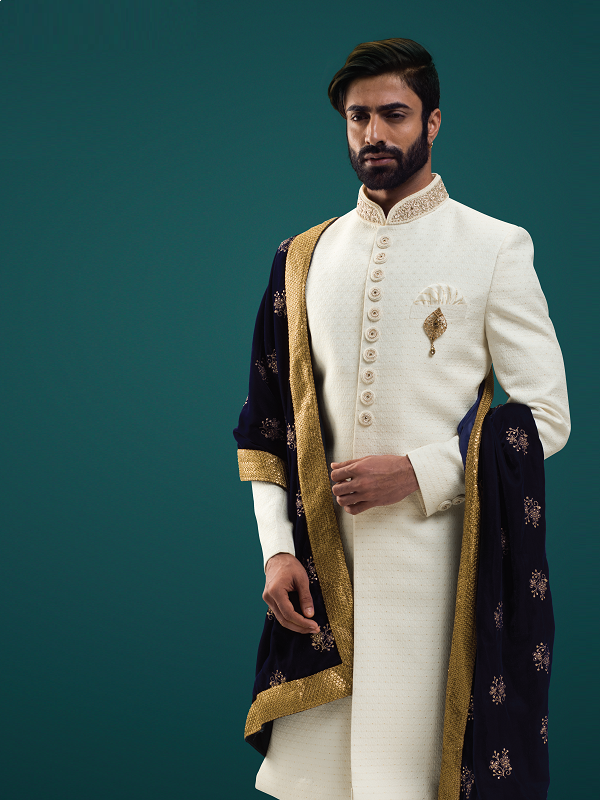 The Nawabi Collection Creates The Right Impact At Weddings And Receptions Using The Traditional Stitching And Embroidery Styles Inspired By The Nawabs Of Yore. 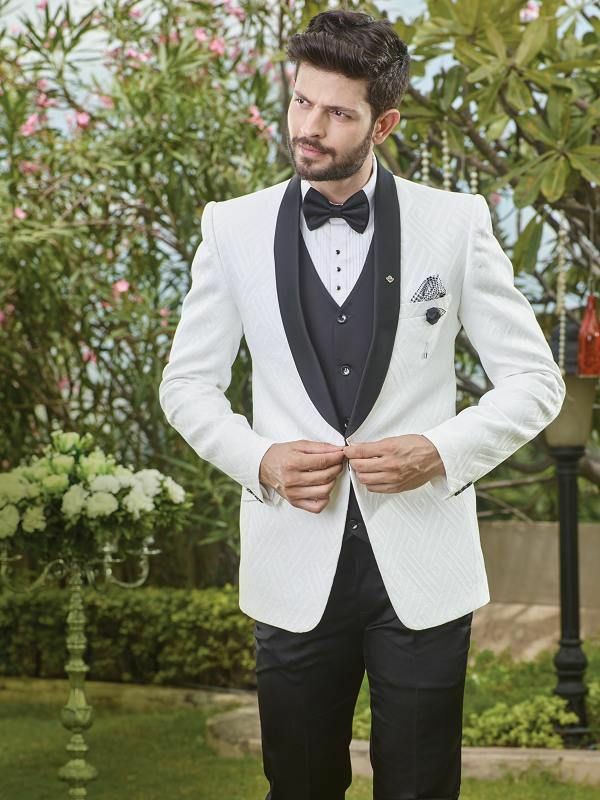 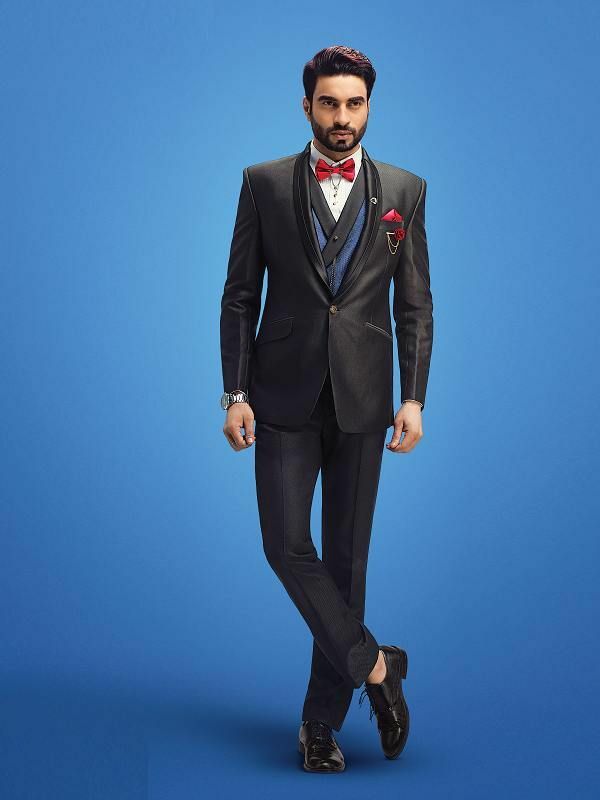 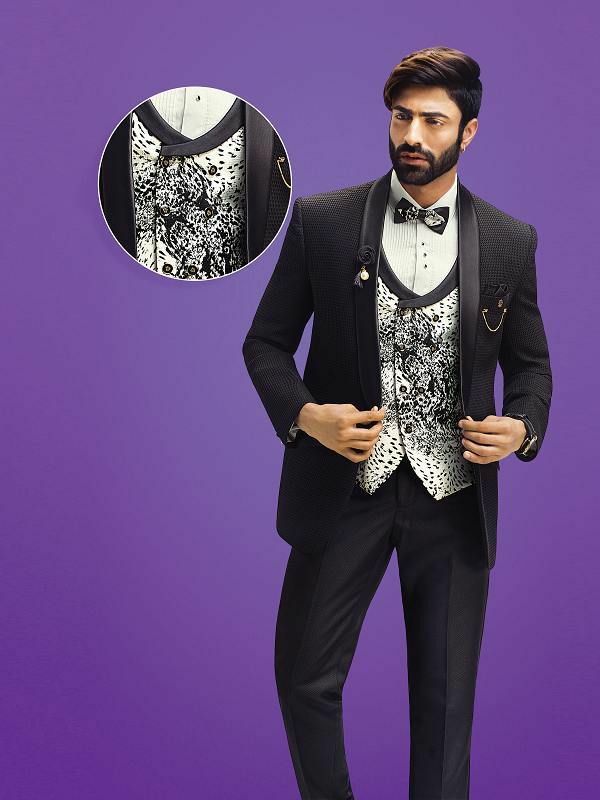 The Cocktail Parties Will Never Be The Same As These Tuxedos Are Crafted To Make You The Heart And Soul Of Every Celebration With Contemporary Styles And Exquisite Layered Looks. 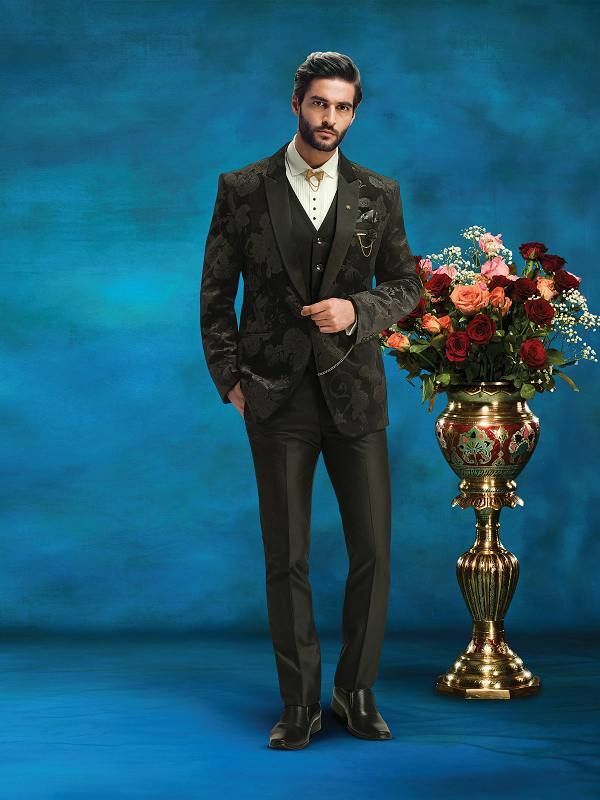 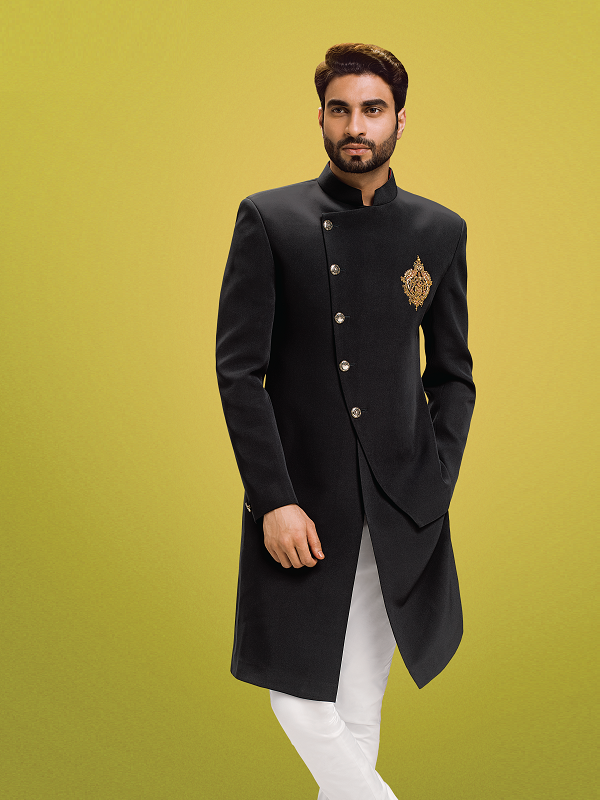 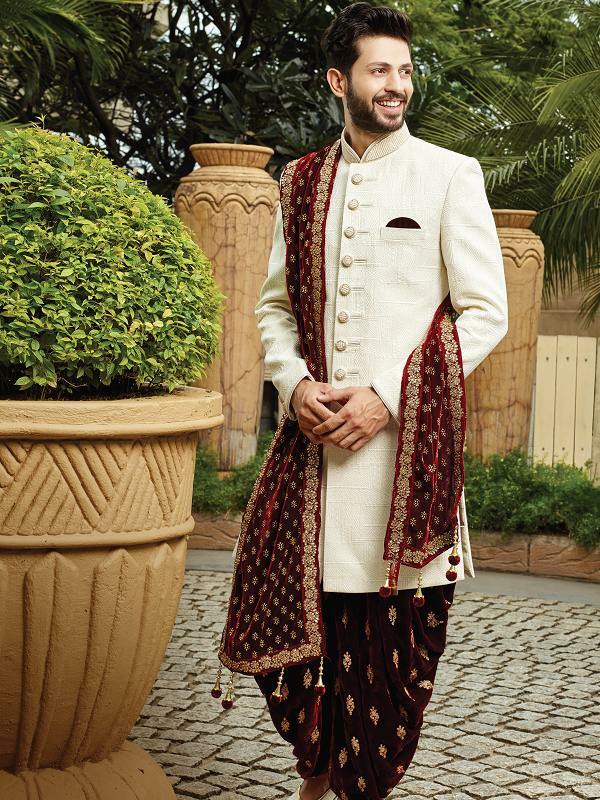 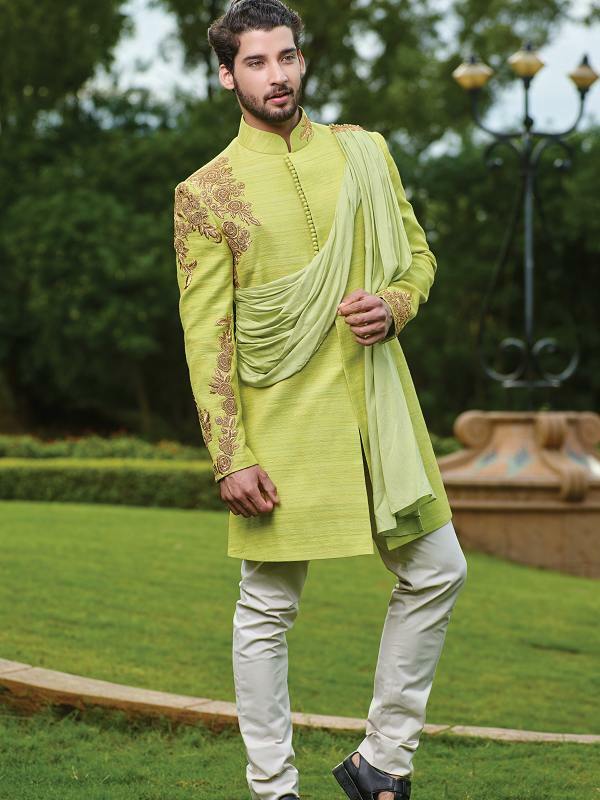 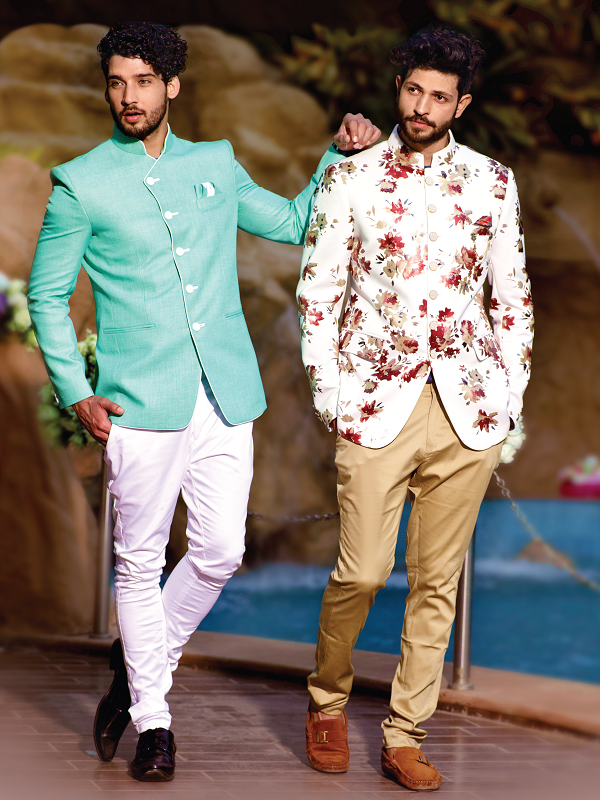 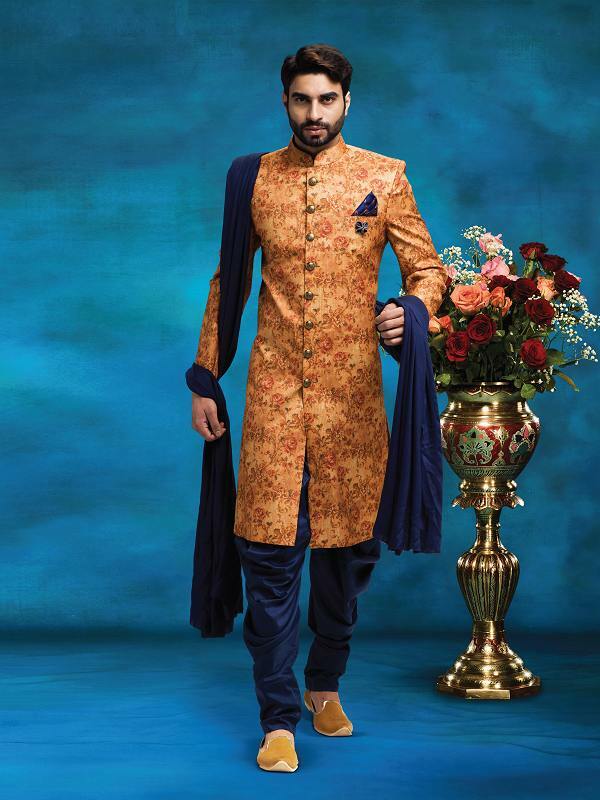 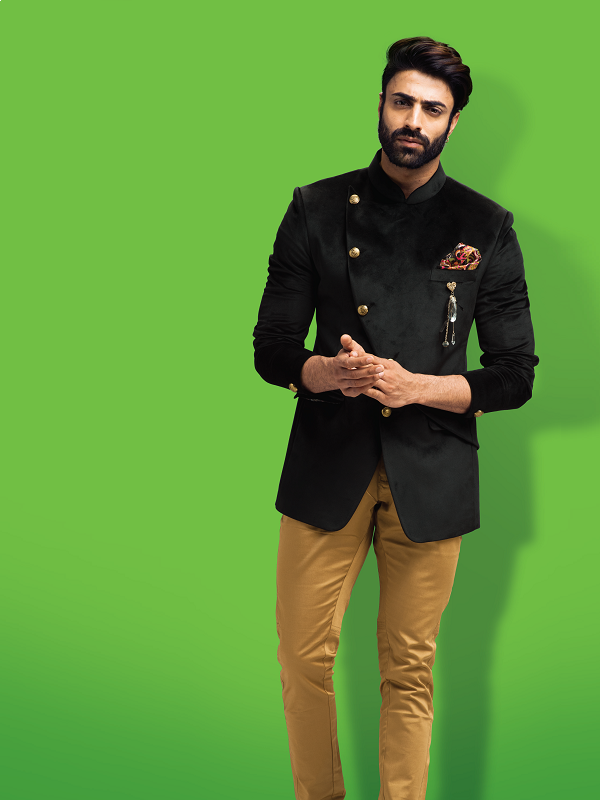 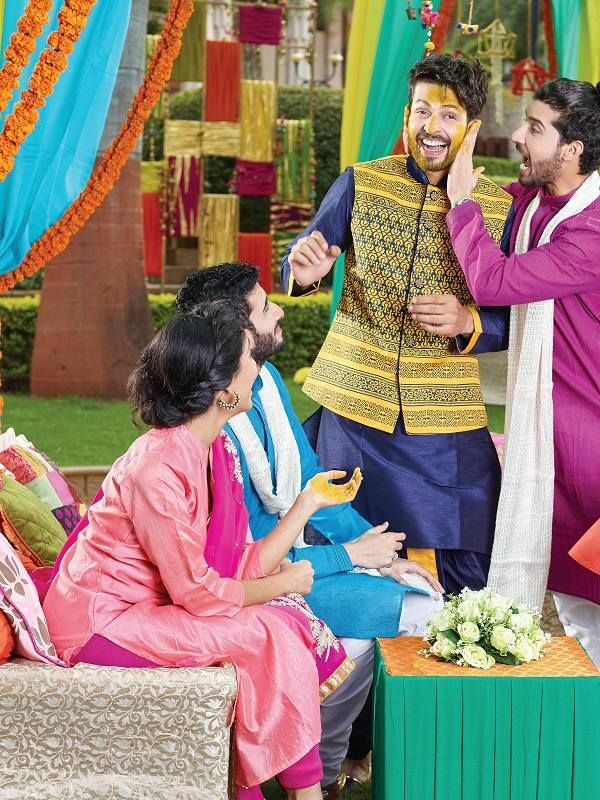 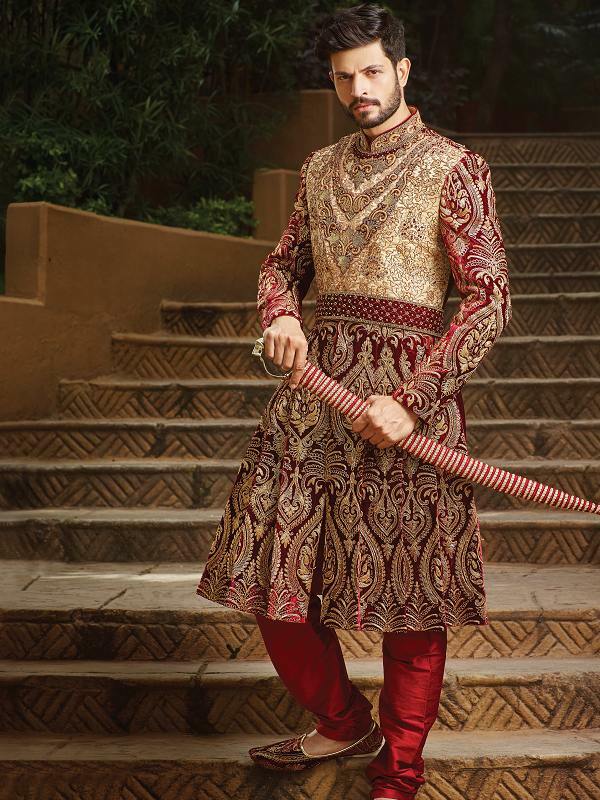 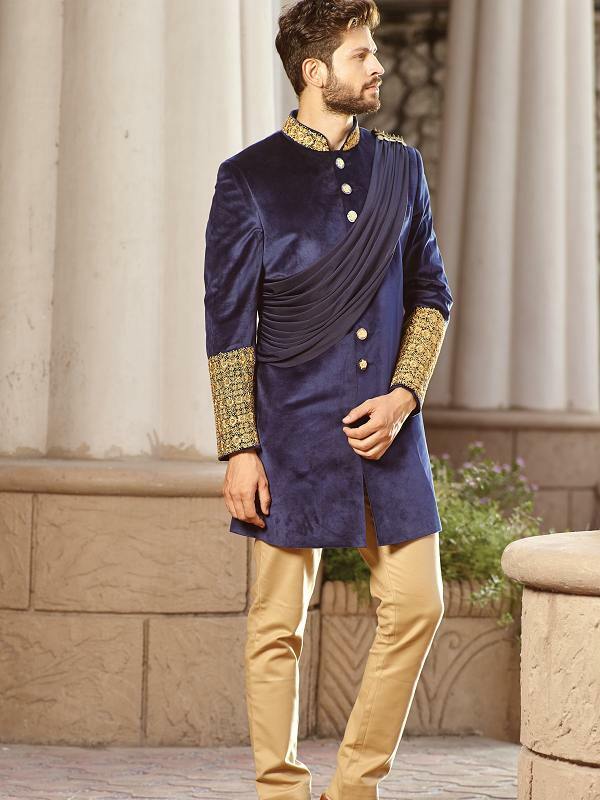 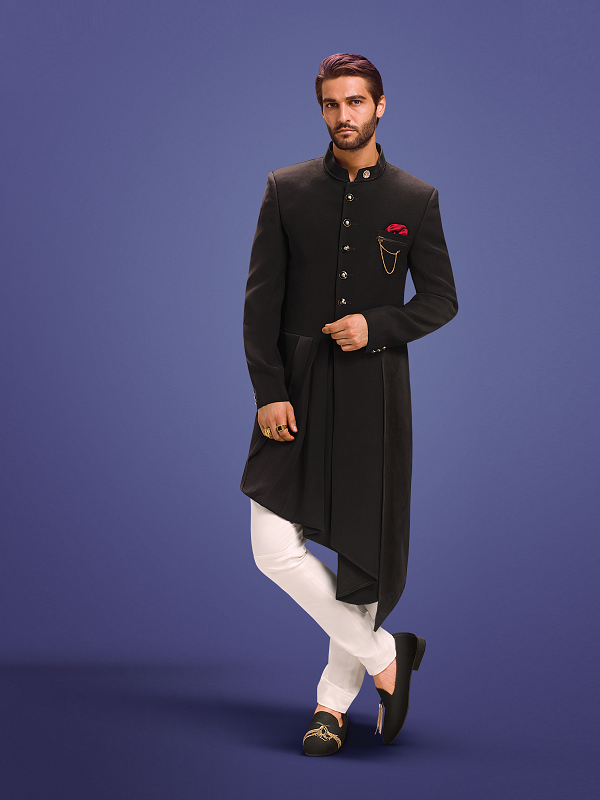 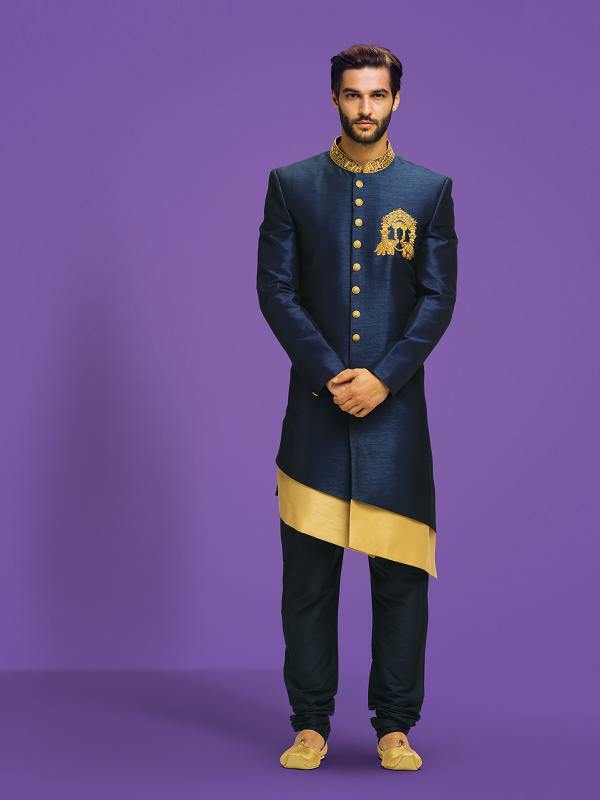 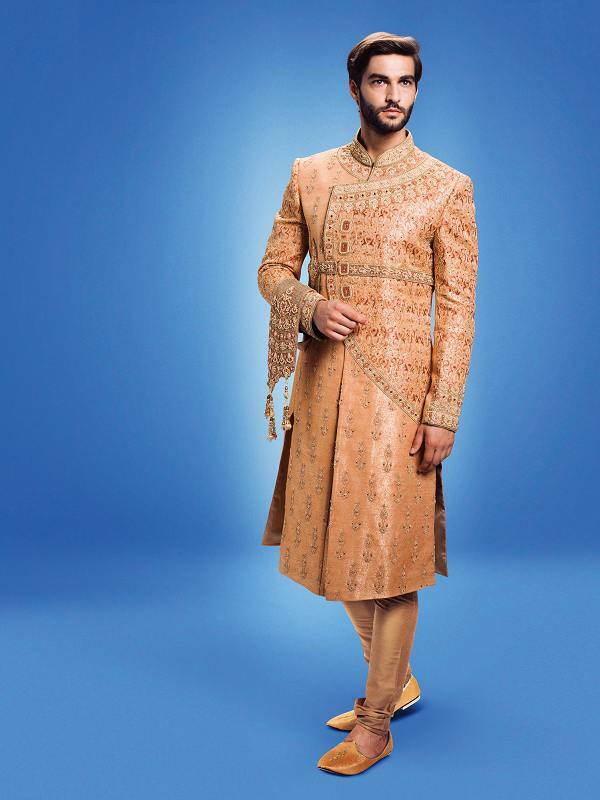 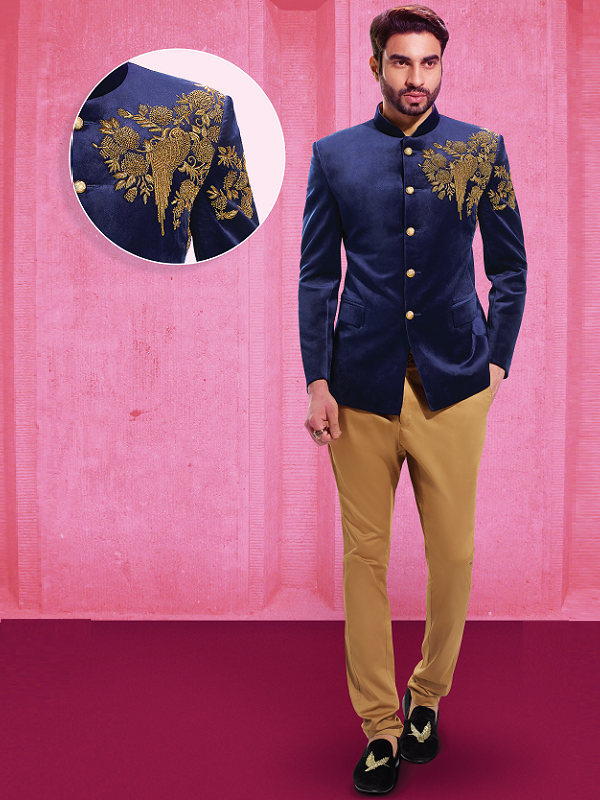 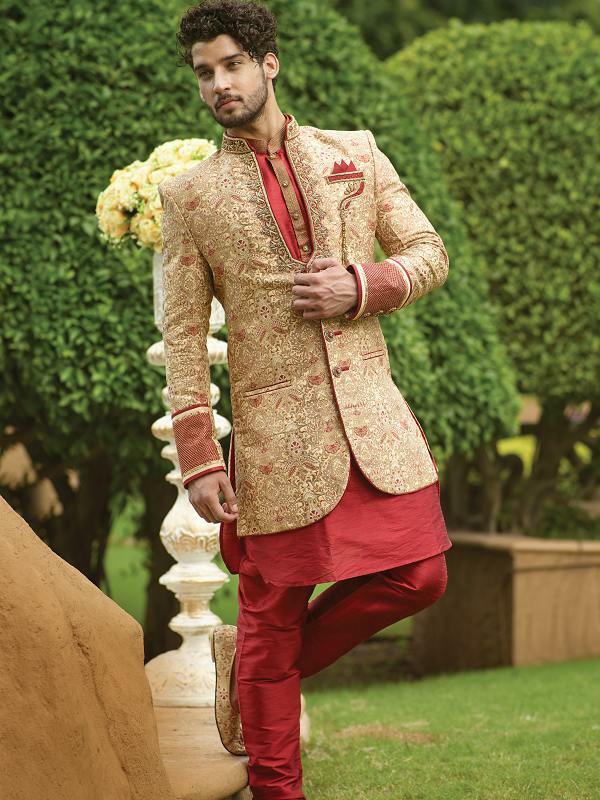 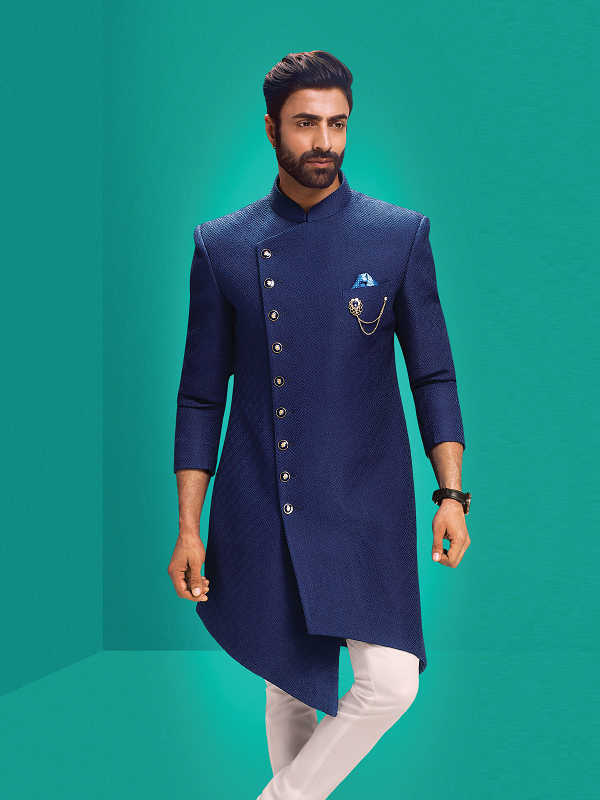 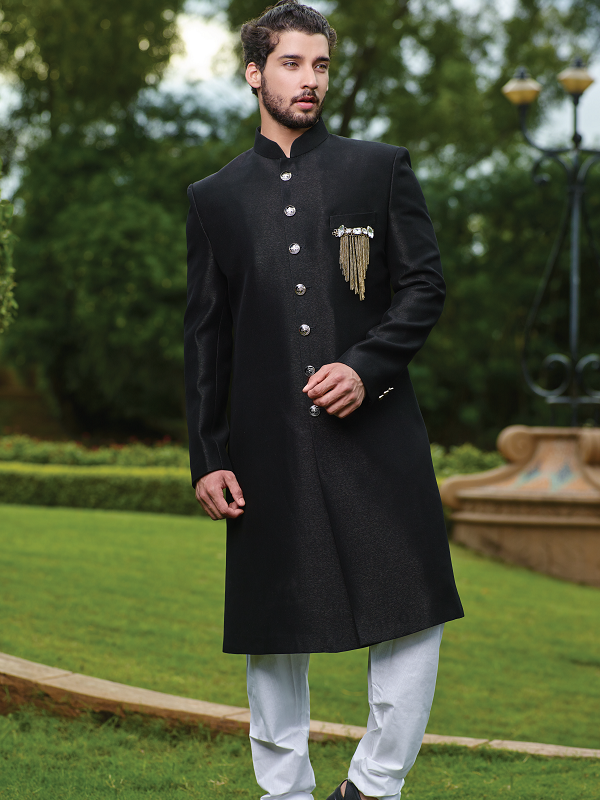 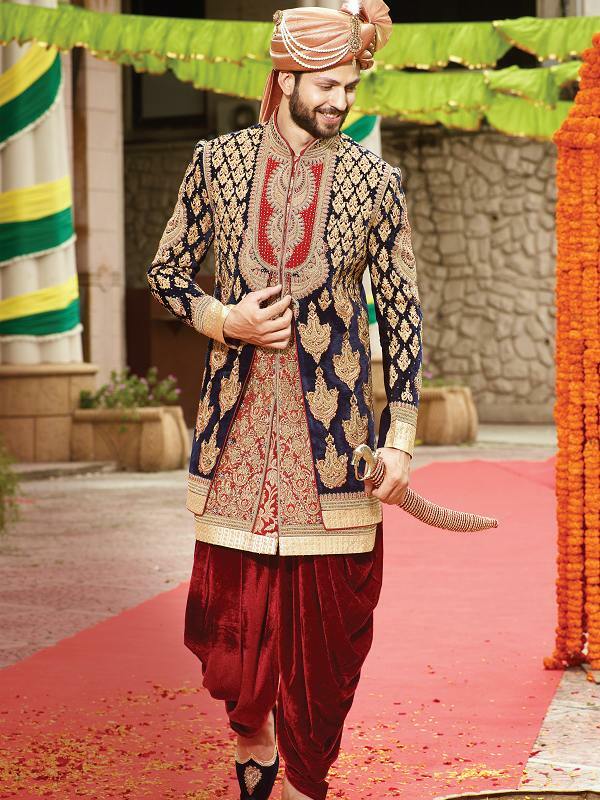 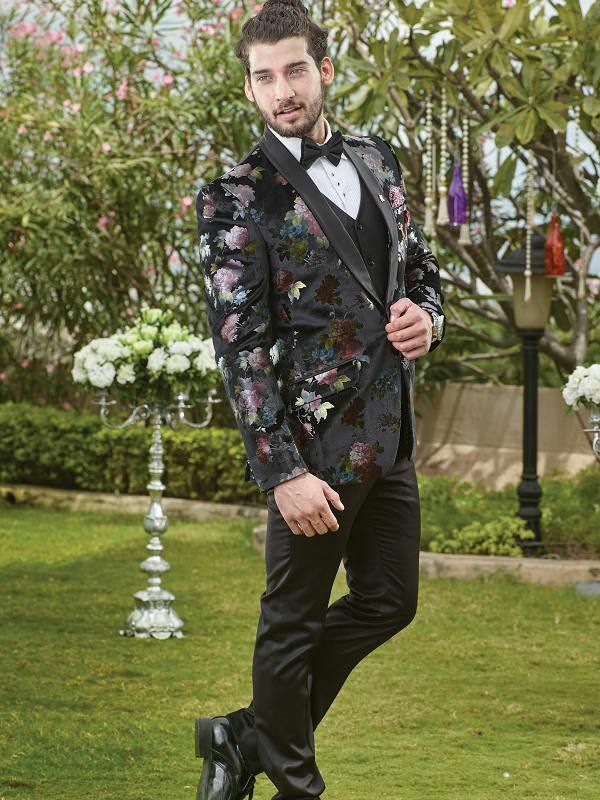 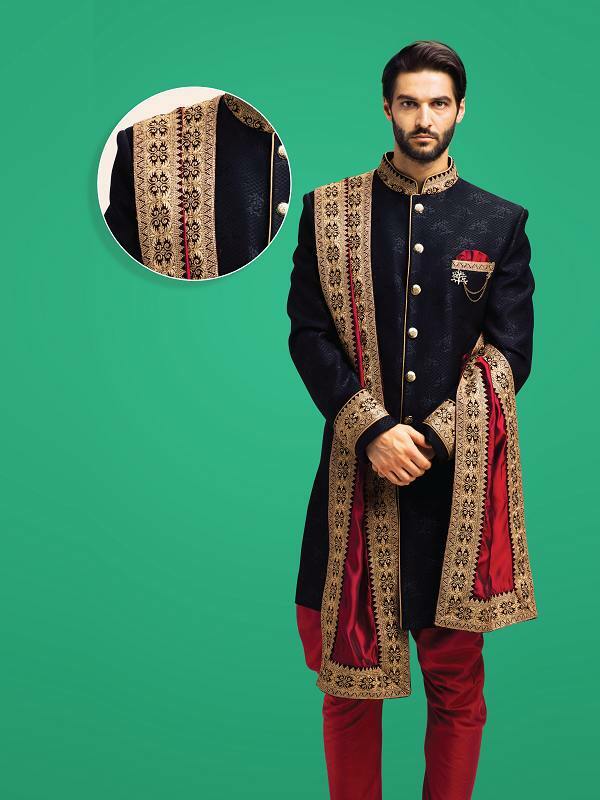 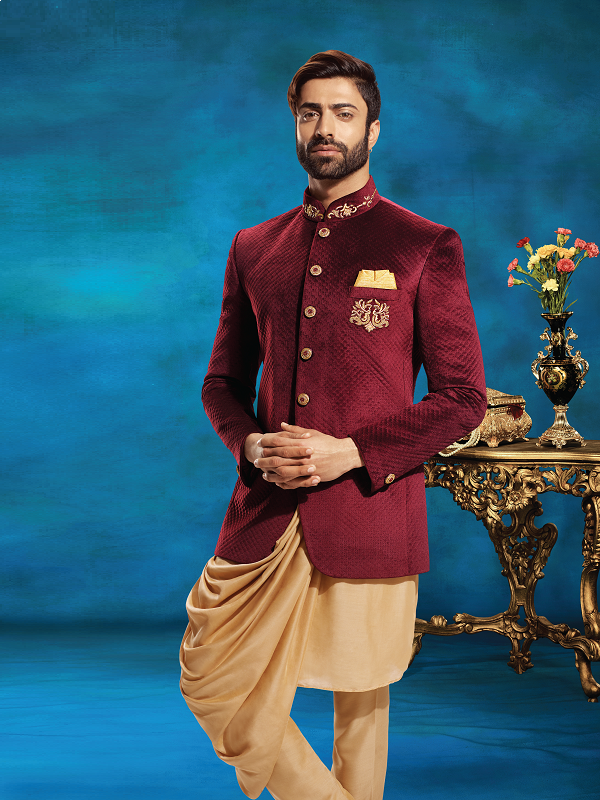 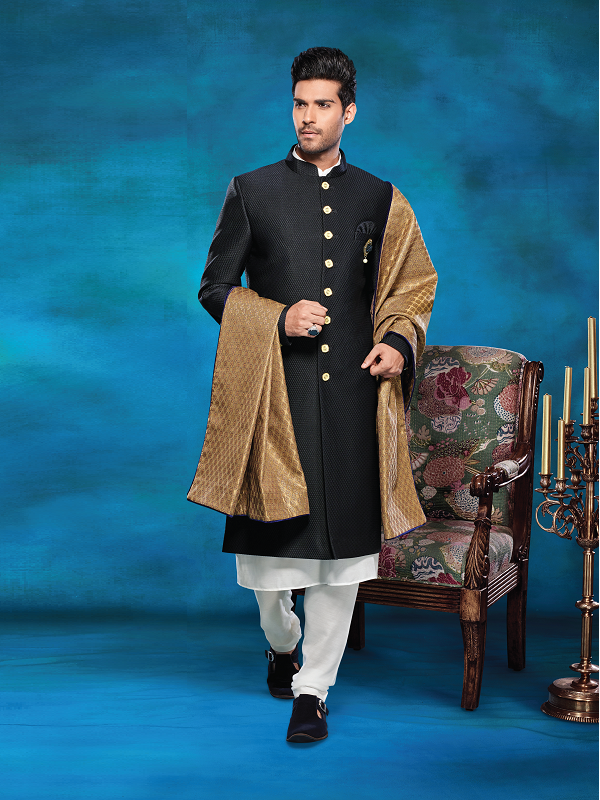 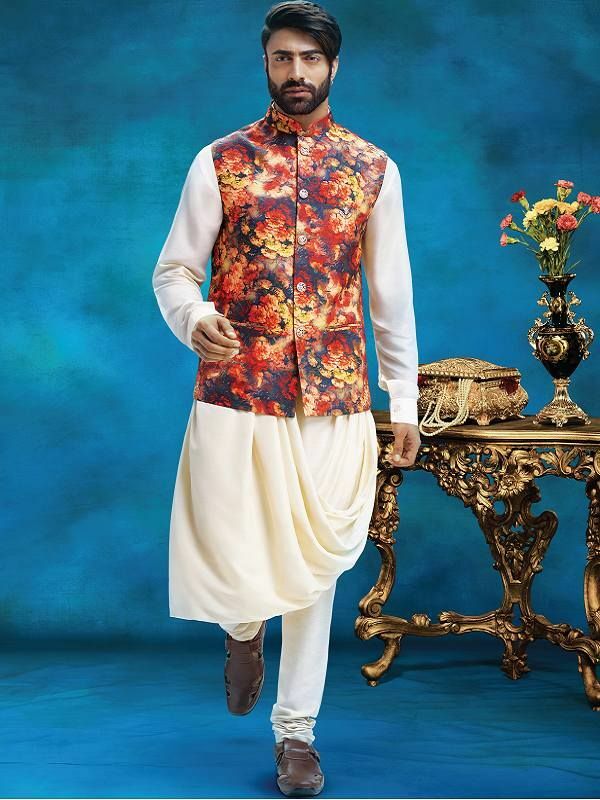 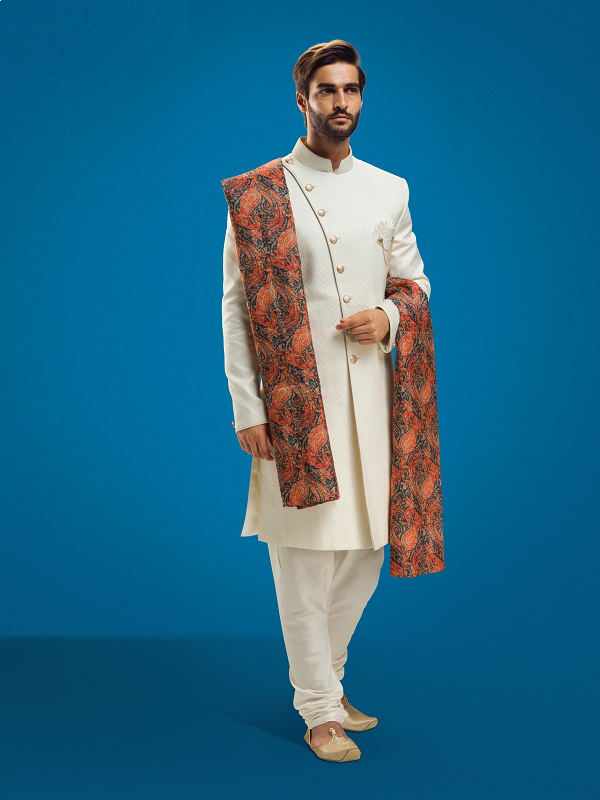 Steal The Spotlight At Every Wedding Celebration With The Most Fashionable Collection Of Modern Sherwanis And Indo-Westerns Designed To Complement Your Royal Personality With A Range Of Opulent Styles. 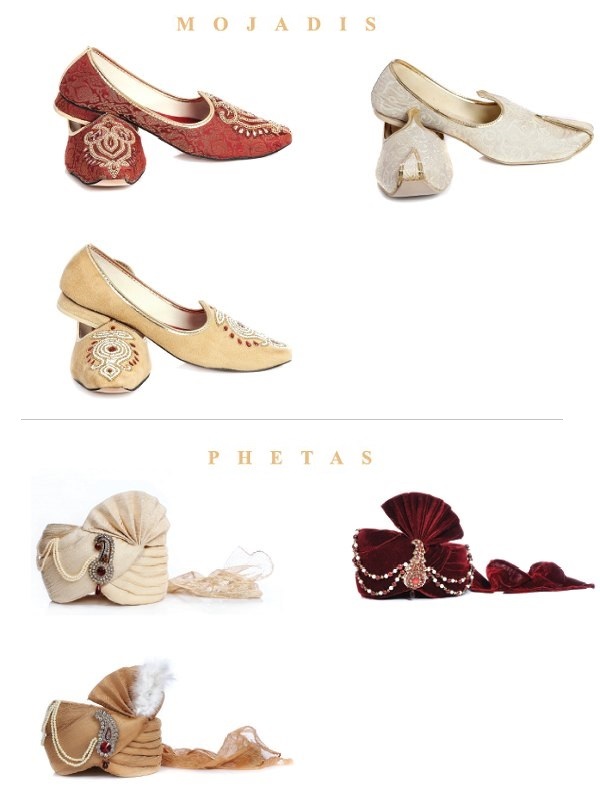 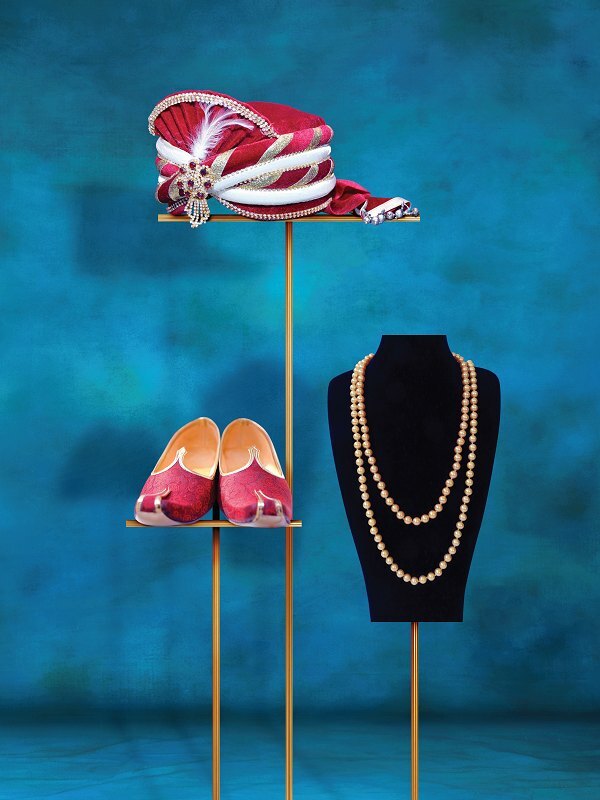 The best collection of accessories to match your royal visage. 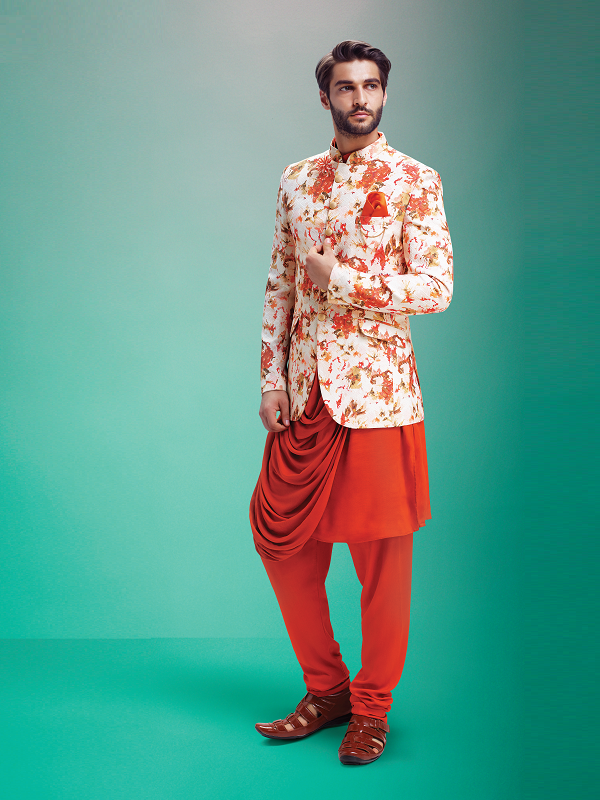 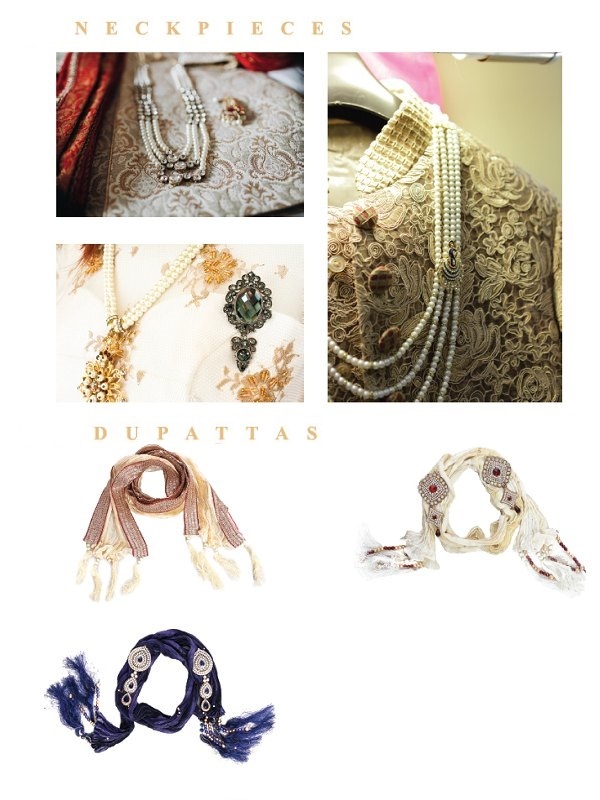 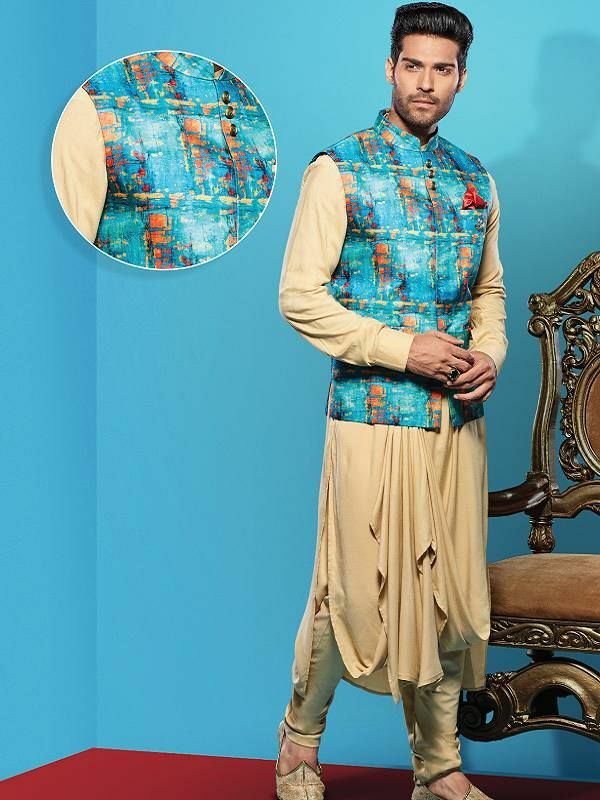 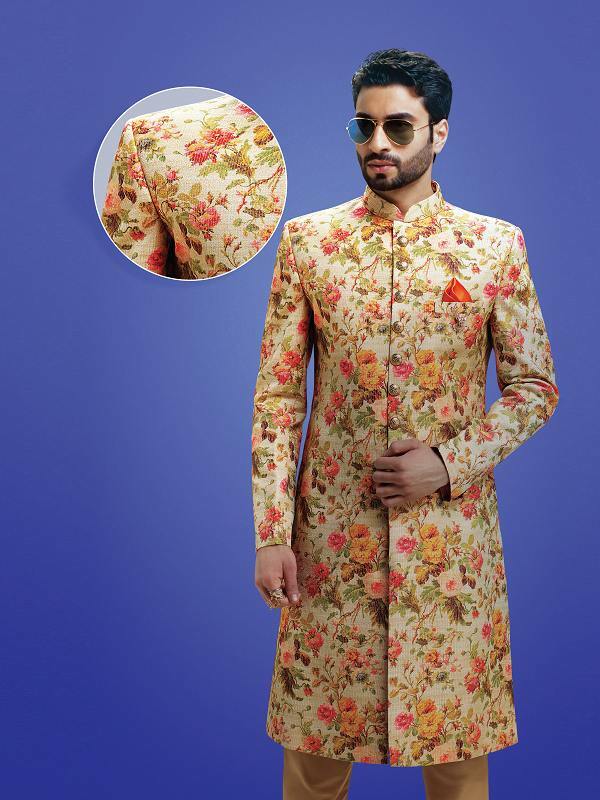 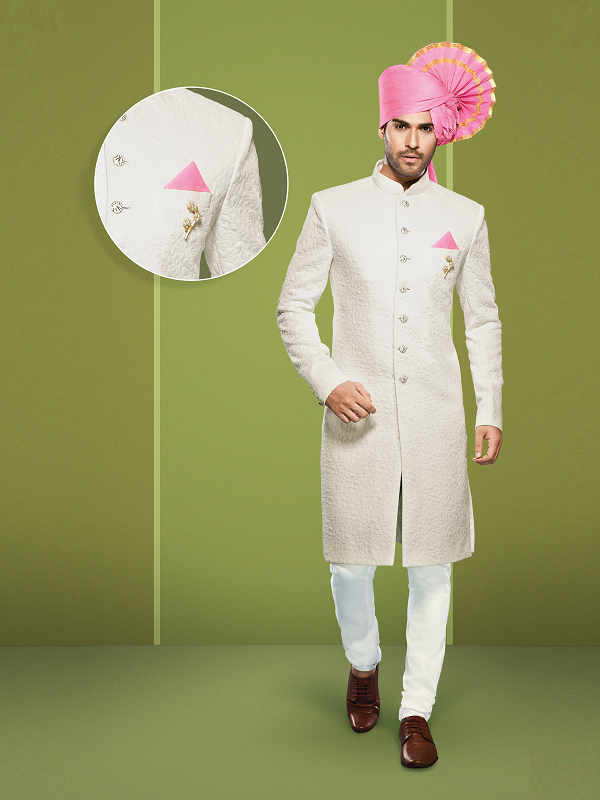 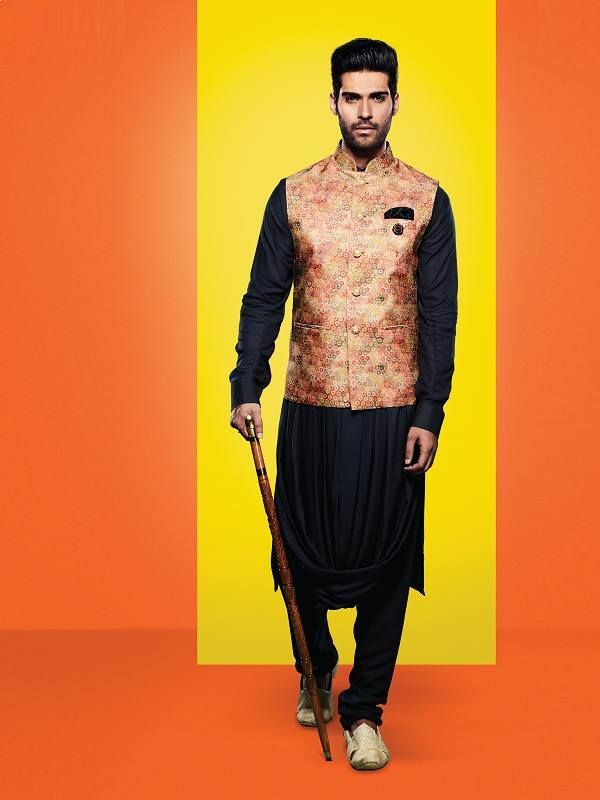 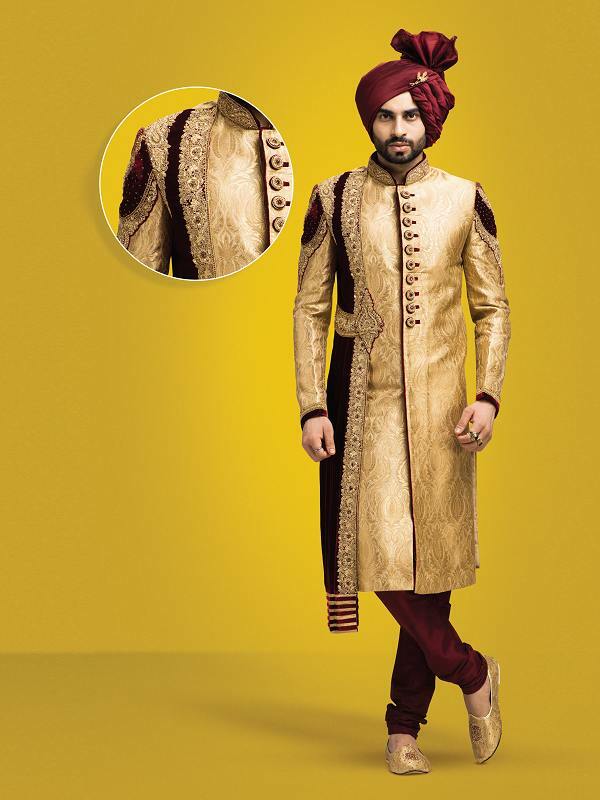 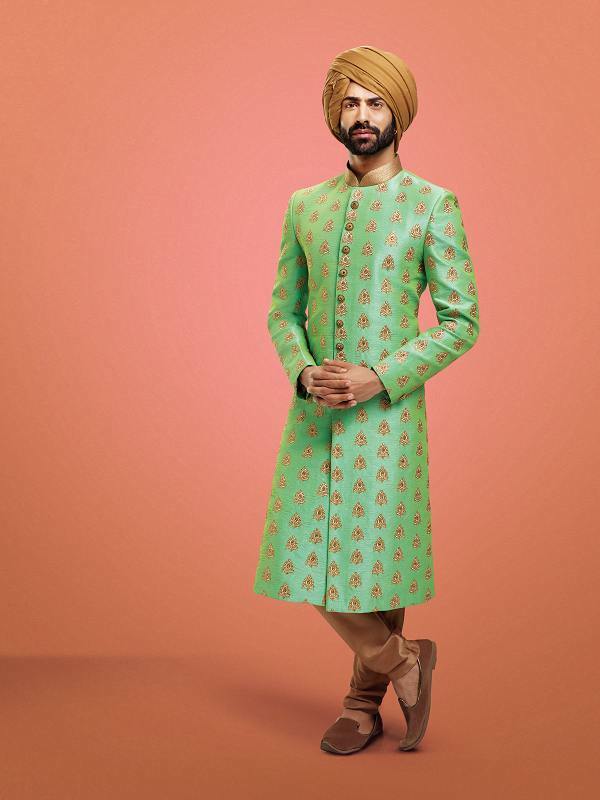 The unique accoutrements make you stand out with a 'Stately' look completed to perfection..